Do you have an email? send us your email to get notice of events, info and more. There will be a page to sign up with your email in the vestibule. 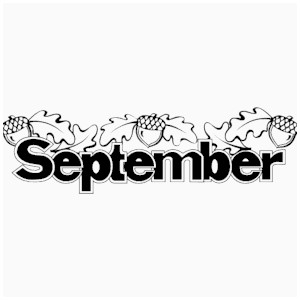 ​ Dont forget to pick up The Pilgrim Page Newsletter to be in the know for the next month to come and keep up with all the news. ​Please help support our Fundraisers as all proceeds go back into the church to help in many areas of improvement, safety & security, helping others and more. Thank you for your continued support. 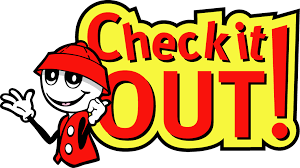 Several ways to keep up with us and whats going on! 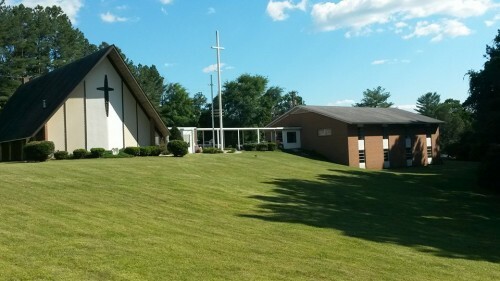 ​​Please remember and have respect for the Lord's house, we ask that nobody brings food and drink (including water) into the sanctuary (excluding infants) We have new carpet and have already gotten a stain. Please be mindful of this request. ​When thou passest through the waters, I will be with thee; and through the rivers, they shall not overflow thee: when thou walkest through the fire, thou shalt not be burned; neither shall the flame kindle upon thee. Rev. 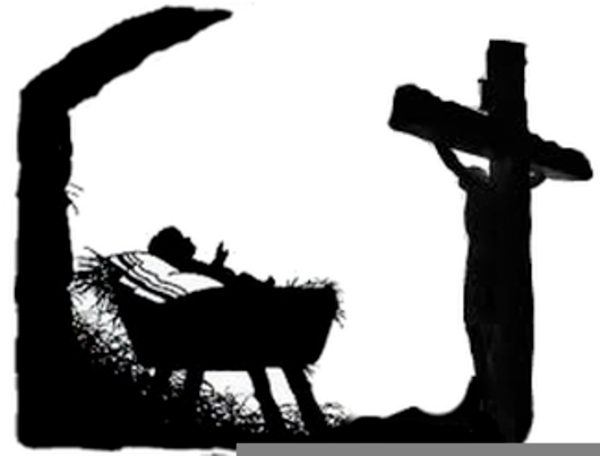 James D. Messer Jr.
​THOSE HELPING IN THE EASTER DRIVE THRU DRAMA FOR APRIL 6, 7, PLEASE BE AT THE CHURCH FRIDAY EVENING AT 6 TO MEET WITH DEBRA. Plans are being made for our next Fundraising Event. Our event will be April 13th and it will be our ​ "Egg- stravaganza"​. 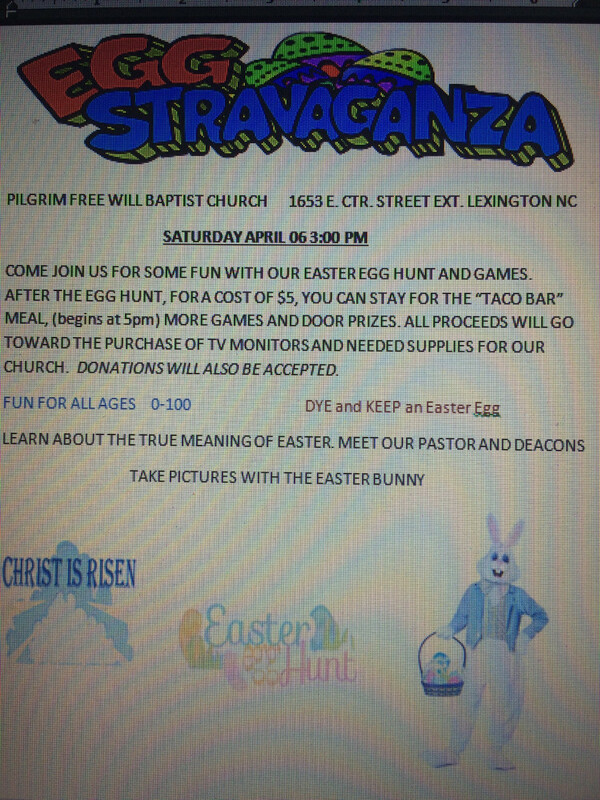 There will be a Taco Salad Bar with more fun and games for $5 per person after the Easter Egg hunt. If you have been to our other events, you know there is a lot of FUN! If you havent been, your missing out! PAY AT THE DOOR! FIRST COME FIRST SERVE. ANYONE INTERESTED IN HEPLING PLEASE SEE SCOTT AND DEBRA. 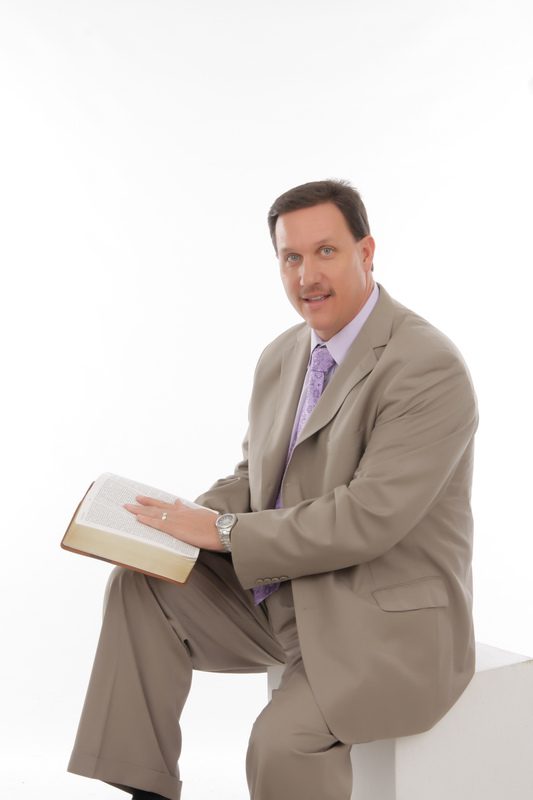 ​​​​​ WE WILL BE HAVING REVIVAL STARTING MAY 5-8TH. MORE DETAILS TO COME. ​​​​It's time to start thinking about sending a Kid To Kamp. If your interested in heloping send a child to camp please see the Preacher or donate in the bus at church. Junior Camp is July 21-26 and Teen Camp is June 23-28. Also , anyone interested in ​going to the camp for our church wide camp weekend, see scott for dates so we can narrow down a date for everyone. ​Please be mindful of the request of NOT bringing food and/or drink (including water) in the Sanctuary. We have had work done and new carpet and already have noticed some staining. Please respect the LORDS house. ​​​​​​​Help fill the Food Pantry. 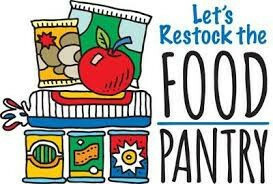 If you would, please help us re-stock our Food Pantry. There may be someone in or outside of our church that may need help. It could be you. Any can food and non perishable foods are accepted. Thank You. Come drive-thru our special April 6, 7 from 6-9 pm. Please enter through the Arbor Acres Drive entrance. There will be a Taco Salad Bar with more fun and games for $5 per person after the Easter Egg hunt. If you have been to our other events, you know there is a lot of FUN! If you haven't been, your missing out! PAY AT THE DOOR! FIRST COME FIRST SERVE. ANYONE INTERESTED IN HEPLING PLEASE SEE SCOTT AND DEBRA. .